"World Famous" Wildwood Boardwalk: This 2 mile long boardwalk has a total of five amusement piers plus a myriad of other carnival games, souvenir shops, food stands, waterpark and world-class roller coasters. The boardwalk stretches from 16th Avenue in North Wildwood to Cresse Avenue in Wildwood Crest. Cape May County Park and Zoo: Located off Exit 11 on the Garden State Parkway, our zoo is accredited by the American Association of Zoological Parks and Aquariums, placing it with the finest zoos in the world. There are over 250 species and educational exhibits. Open year-round 10:00 AM - 3:30 PM. Cape May Point State Park/Lighthouse - Located in Cape May Point State Park, Lower Township. More than 100 thousand visitors a year now experience a visit to the top of the lighthouse, participating in a century old rite of a visit to the Jersey Shore. For those who choose not to climb, the Oil House contains a fully-accessible visitors' orientation center and a Museum Shop stocked with maritime accessories and memorabilia. The present tower, which is the third documented lighthouse at the southern tip of New Jersey, has always been an attention-getting landmark as well as an aid-to-navigation for mariners. Because it is adjacent to the community of Cape May Point and just two miles from the city of Cape May, it has drawn visitors throughout its history. In 1882, the Cape May Ocean Wave reported that "the gentleman superintendent in charge [of the lighthouse], Mr. Samuel Stillwell, takes pleasure in showing visitors who have the nerve and strength of limb to the top, the interior of the lantern, and explaining the interesting operations of the light. A very picturesque view of the sea, bay, and country may also be obtained from the giddy heights of the edifice. In 1897, the newspaper made it clear that a visit to the lighthouse was a requisite part of one's vacation: "One of the interesting features to Cape May summer visitors is a journey to the top of the light house." Historic Cold Spring Village - Tucked into a 22 acre plot of land near the seashore resorts of Cape May and Wildwood, Historic Cold Spring Village takes visitors on a trip back in time to a simpler, quieter era. More than two dozen historic homes from Cape May and Cumberland Counties are clustered together much the way the houses in the original Cold Spring Village were grouped together back in the 1800's. Historic District Trolley Tours - Get acquainted with Cape May on a Trolley Tour as knowledgeable guides present entertaining and educational stories about the nation's oldest seashore resort. Trolley tours are offered daily at various times (call 609-884-5404 for detailed schedule.) Begin at the Washington St. Mall Information Booth at Ocean Street. Emlyn Physick Estate - Take a guided tour of Cape May's only Victorian house museum. A visit to the Physick Estate today offers a look back at our Victorian past as evidenced by its architecture, decorative arts, customs, and the lives of one particular Cape May family, the Physicks. The mansion was built in 1879 under the direction of renowned Victorian architect Frank Furness. Tours of this 18 room house are 45 minutes, and are offered daily at various times throughout the day (call 609-884-5404 for detailed schedule.) Begin at the Washington Street Mall Information Booth at Ocean St in Cape May. Cape May Whale Watcher - The 110 foot Cape May Whale Watcher has been whale and dolphin watching in the Cape May, Wildwood, Stone Harbor, Atlantic City and the rest of the New Jersey Shore area since 1993. We have also been history cruising in conjuction with the Mid-Atlantic Center for the Arts since 1993. We continue this long history with the all new 110 foot air-conditioned Spirit of Cape May. We offer the largest and fastest marine mammal watching boats in New Jersey and the only boats with the never expiring marine mammal sighting guarantee. We have been Dinner Cruising since 1994. 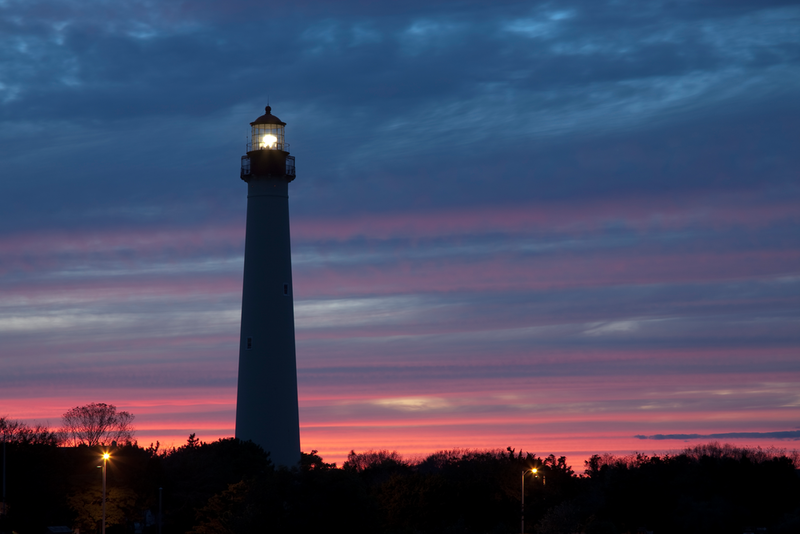 We offer our PRIME RIB Dinner CRUISE Buffet Upgrade on our Sunset cruise, as well as our Famous Lighthouse Cruises. Sailing from March until December from the Miss Chris Marina Dock in Cape May, NJ- with Daily Fishing, Boat Rentals, Kayak Rentals and Tours, Bird Watching Tours, and the Dancing Dolphin Gift Shop and Picnic Area. Enjoy free parking and do not hesitate to call us at 1-800-786-5445. Cape May/Lewes Ferry "A Fare to Remember" - Take the Cape May/Lewes Ferry across the bay to Lewes, Delaware. On the other side, pick up a shuttle to Rehobeth Beach's 150 outlet stores. Includes round-trip foot passage on the ferry, shuttle service to the outlets and back, and a book of discount coupons. Sunset Beach...Enjoy a visit to one of the most unique coastal beaches on the U.S. Eastern Seaboard. Sunset Beach is named for its location at the foot of Sunset Blvd. in Cape May Point at the southernmost tip of the State of New Jersey. From this viewpoint, visitors can view a 100% unobstructed horizon line. Due to the atmospheric conditions caused by the interaction of the bay's seabreezes, the sunsets seen here are among the most brilliant and colorful imaginable.